Precious, pearlescent Sajen drop earrings with the glow of a treasure pried from the sea! 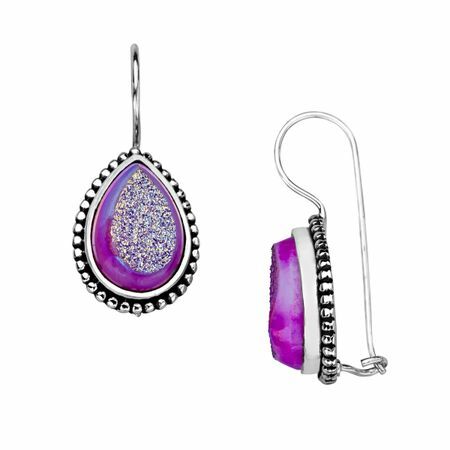 Polished pear-shaped pink druzy stones are displayed in beaded frames crafted in sterling silver. Pieces measure 1 1/8 by 1/2 inches.